This image shows Phillip the duck with his new prosthetic feet that were created by a 3D printer. 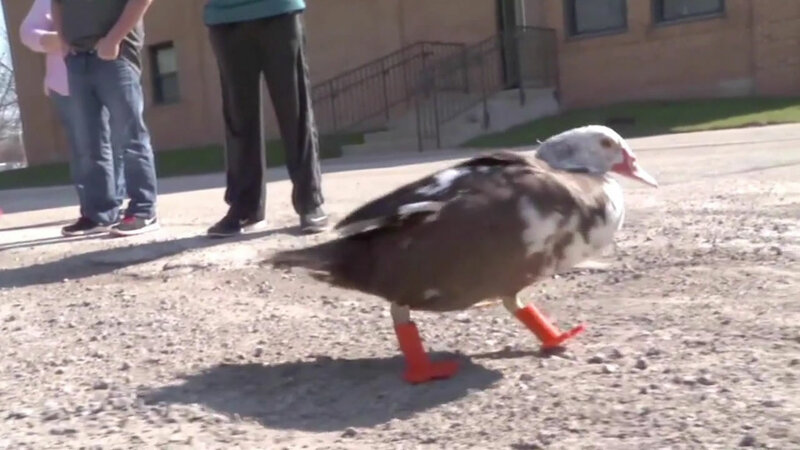 A little duck is waddling again thanks to new feet he got from a 3D printer. "Phillip" was fitted with his new feet this morning. He lost his real feet due to frostbite this winter. It took him a little while to get used to his new feet, but, his owner says she hopes he'll soon be able to swim. He's set to join other ducks soon at a Wisconsin sanctuary.